CPR updates are required for clinicians every 18 months and non-clinicians require 3 yearly training for QCF, yearly update training is recommended. 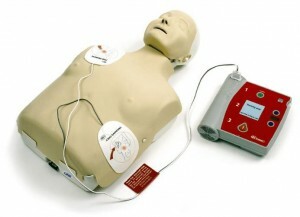 LifeSaver Training offers health care practitioners CPR and AED training, all our courses conform to current UK & ERC Resuscitation guidelines. A certificate of competence is provided to candidates at the end of each course. We offer the following courses, delivered at our clients premises. Price – Please give us a call on 0151 207 0081 for our latest prices.